Do you know that some private sellers in the eBay UK are quite fortunate? Read on to learn why. Starting from March 3, 2019, eBay UK will introduce an updated fee structure. Let’s see how the conditions for eBay UK private sellers will get better. If you’re the UK private seller with no shop you will receive 1,000 free listings a month. More precisely, the fine print says that currently, free listings cover 1 and 3 days duration listings. When the changes take effect, if you choose to list for these shorter durations, you will be charged a Special duration listing upgrade fee, which is £0.35, no matter how many listings you have used. What about the sellers with a store? They will have the above benefits as private sellers with no store, and in addition, they will receive 100 free listings with 1 and 3-day Special duration listing upgrade, after that each listing costs £0.35. The updates are relevant only to the sellers registered on the ebay.co.uk. To get more details on the current fees, click here. 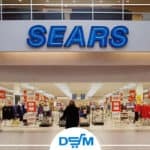 Previous article Another Chance at Survival for Sears? 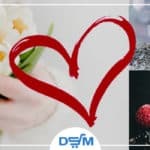 Next article What To Sell On Valentine’s Day?